I’ll be 56 in May. I try not to focus on that, but it does rear its (bald) head now and again–in particular when one is traveling along a well known path, and something unexpected happens, something that requires…attention. I thought at this age all the decisions had been made, all the difficulties of youth had been settled and all I had to do was ride it out until retirement–and then sail on off into the sunset with my wife and pets at my side. Isn’t that what “old people” are supposed to do? Instead-at (almost) 56–I’ve decided to start over again–well, almost. For the last few years I’ve been drawn more and more into the study of animation, picking up where I’d left off as an undergraduate art student back in 1981. It began with animation history( for a course I began teaching at Adelphi U.) then design and layout (to adapt into my comics work)–and now, the practice of the medium itself. Over this last weekend I received my idol Richard Williams’ great The Animator’s Survival Kit, along with Marcie Begleiter’s book on storyboarding, From Word to Image–and I’ve been immersed in both books to the neglect of everything else ever since. That’s not all, prior to that I’d read (and written about) David Levy’s From Pitch to Production, and I recently finished Joe Murray’s Creating Animated Cartoons with Character-both of which were excellent introductions to the world of TV animation. As a result, I’ve spent the last month or so, working on a project I never thought I’d do–a pitch bible for a possible animated TV show. Whaddya think? I don’t want to reveal too much about the idea just yet, but obviously–it’s a spin-off from “Plastic Babyheads” & “Jetpack Jr.” and starring my most popular character; Bella! Just a word–it’s very different from the worlds of my comics; a different scenario and a different Bella too. I’m pretty excited about the results, excited enough that I’m working on a storyboard for a proposed episode, and may even work up some sample animation. And while I don’t have any connections in the industry, I’ve been trying to get it in the right hands. The answer is simply, living life. Our culture places a premium on youth, it’s built into the cultural DNA–but such a view shortchanges life post-40, which for many can be half of the experience–and in many ways, the better half. As generation succeeds generation, and one pop culture replaces another in the economic “mainstream”, a tendency to dismiss those no longer tethered to consumerist cycles becomes a prevailing cultural attitude. It has nothing to do with vitality or experience, and everything to do with economics (and technology-as it is tied to the economy). What I’m trying to say is, we shouldn’t be so dismissive of people who don’t sit on pins and needles waiting for every next tune or music video, or who haven’t kept up with who’s on “Jimmy Kimmel”. But we “older folks” sometimes allow that thinking into our own conception of self, and it can be self-defeating. It’s no minor thing, to work past that little voice in your head that whispers every morning ” you’re too old, you don’t have time, you’re irrelevant, you’re not a kid anymore. What do you expect to accomplish?” But working past it is what we have to do. What I have to do. Having said all that, I’ve gotten great information and inspiration from the suite of books on animation I’ve been reading, starting with the aforementioned David Levy’s book, “Animation Development: From Pitch to Production”. 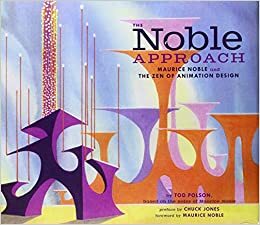 Prior to Levy’s book, I’d read-and thoroughly enjoyed The Noble Approach:Maurice Noble and the Zen of Animation Design ably adapted from Maurice Noble’s lectures and notes by protege, Tod Polson. at Warner Brothers and elsewhere, it serves both as retrospective catalogue and a course in layout and design from one of the great masters. 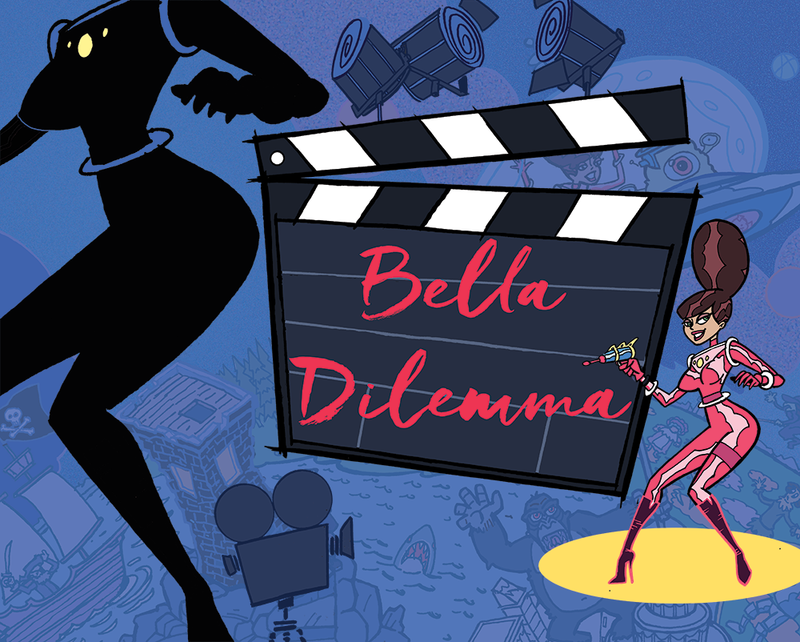 I continue to refer to it for inspiration in both my comic strip work and my designs for pitches like “Bella Dilemma”. 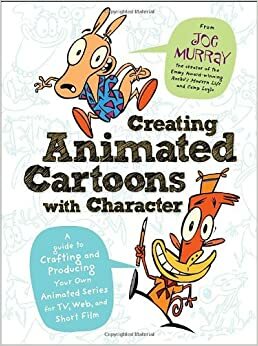 Similarly, Joe Murray’s book, Creating Animated Cartoons with Character: A Guide to Developing and Producing Your Own Series is chock full of terrific advice from an experienced animation producer, and includes insightful interviews a wide variety of pros such as Steve Hillenburg and Craig McCracken. Murray lays out a clear path from imagination to pitch to production, and while success of the kind he’s detailing may be elusive, he is both an encouraging mentor and engaging raconteur. This attractive book is also filled with Murray’s illustrations, which is a big plus.